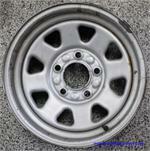 2042, Used Rims, 16X6-1/2, 8 LUG, 6-1/2", 94-03, Dodge, Truck, 2500, Van, CHROME, 5 ANGLED SPOKE, STYLED STEEL. 668, Hubcap used, 14", 70, MERCURY, COUGAR, 5 SLOT, STYLED STEEL TYPE. 671, Hubcap used, 14", 70-71, FORD, FAIRLANE, TORINO, STYLED STEEL TYPE. 672, Hubcap used, 15", 70-71, FORD, FAIRLANE, TORINO, STYLED STEEL TYPE.